So you’re lucky enough to be visiting Northampton, also known as the shoe-making capital of the world (yes, really). Maybe you’re travelling from overseas, visiting friends and family, or perhaps you live locally and are looking for something fun to do. Either way, here at Cotels we have you covered with these five of the best things to do in Northampton this summer. Abington Park is Northampton’s oldest and most popular park and sits on the site of a medieval village, with some of the buildings surviving more than seven centuries! The park has playground facilities, lots of green spaces for running around and a cafe serving yummy drinks and food. There is also lakes, flower displays and the Abington Park Museum, which is situated in the picturesque building of a 500-year-old Manor House which you can explore. Royal & Derngate Theatre is a beautiful, Victorian, Grade II listed building, home to hundreds of performances in drama, music, comedy and dance throughout the year. It is the main venue for arts and entertainment in Northamptonshire, and there is a range of performances that children and adults alike can enjoy. Now a multi-award-winning visitor attraction, 78 Derngate is the only house in England designed by Charles Rennie Mackintosh, one of Britain’s most influential designers. 78 Derngate was the architect’s final major commission and is the only place in the world where Mackintosh’s unique style can be viewed in its original setting. Book a guided tour of the house, or visit the boutique restaurant, stylish design shop, or art galleries holding regular exhibitions, which are all on site. Take a walk through history and visit the historical 10,000-acre estate, Castle Ashby. Castle Ashby is the ancestral home of the 7th Marquess of Northampton and is the picturesque home to 35 acres of extensive gardens, children’s play areas, and more. Visit the butterfly gardens, do some light shopping in the gift shop and plant centre, or feed the meerkats in the menagerie. Once you’re done exploring why not finish your royal day out with afternoon tea in the tea room! Exhausted everything there is to do in Northampton? Why not branch out further afield, and hop on a train to the capital city and see some of London’s most iconic attractions including Big Ben, The London Eye, or Buckingham Palace. Direct trains run to London very regularly and take just under an hour, meaning you can go and explore everything the capital has to offer for the day and still be back by dinner time! None of these taking your fancy? 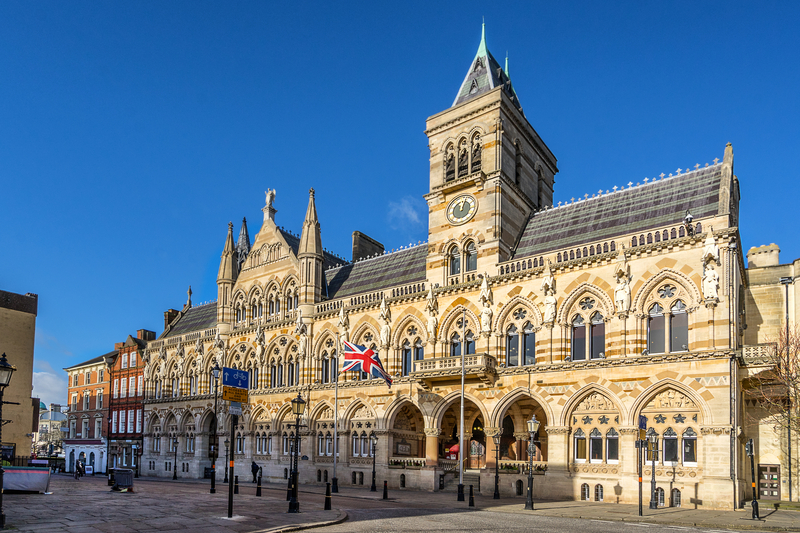 Why not take a trip down the road to Silverstone, the home of British motor racing, catch a Northampton Saints rugby match, or explore the huge variety of restaurants, bars and pubs in town. Whatever your reason for visiting, and whatever you enjoy doing, Northampton really does have something for everyone. And finally, if you need somewhere to stay after a day of exploring, check out our luxury serviced apartments available in Northampton- the perfect place to spend the night after a busy day.